I am thinking... about the two left-shoes I bought/brought from Indiana. The nearest Kohls to us is in Abilene so I bought brown shoes for Hubby while I was in Indiana a couple weeks ago. At first, the box had a mismatch size 10 and 11 so I waited fifteen minutes for the supposedly correct pair. Turns out I really did have both size 11. But they were both left, too. I am thankful for... just the possibility/thought that we may be upgrading my camera soon! From the kitchen... a well stocked kitchen since I went grocery shopping today. I am going... to bed soon. I am reading... multiple cookbooks; one I'm very excited to start cooking the recipes: Wings: 50 High-Flying Recipes for America's Favorite Snack. I am hoping... Nathaniel continues to do well in his first formal swimming class at the local Y. It's a Parent and Child class, twice a week for 30 minutes and last for four weeks. I know there's a possibility he may hate not enjoy it but it's worth a try. Today was first class and he did great! He kicked, paddled, blew bubbles in the water, and jumped in the 3-ft deep water! I am hearing... silence :) Everyone is in bed. Around the house... a package from a dear friend from our last home. One of my favorite things... The TV series LOST. I started watching it about three weeks ago and finished season 2 a few days ago. However, I've asked Hubby to watch it with me so I'm impatiently waiting while he's playing catch up. Inspired by the church song... Do You Know My Jesus? Rest from the burden you bear? Maybe go to Abilene this weekend to exchange the two left-shoes? 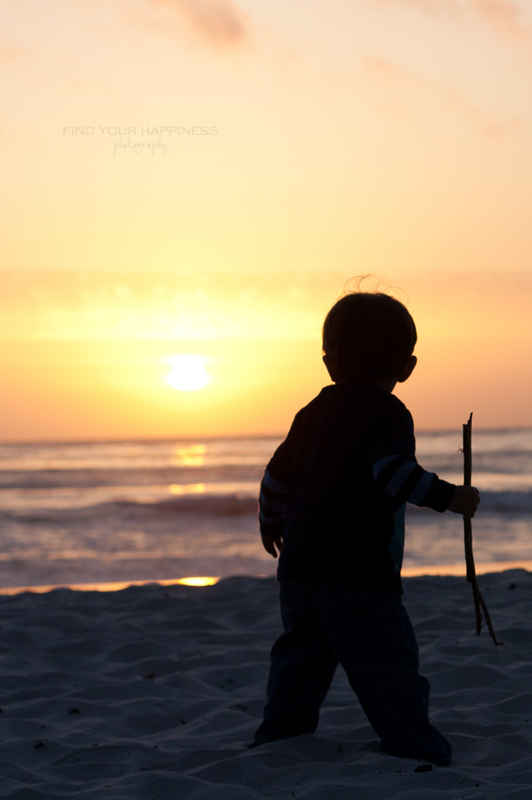 Here is a picture I am sharing... 5.13.11 Exploring the beach with a stick and pausing to watch the beautiful sunset. We had a bonfire in Carmel Beach with our church friends back in California; just a couple weeks before we moved. I am enjoying the silnce with you. Funny but not so funny about the shoes. Good luck to hubby on that long test.